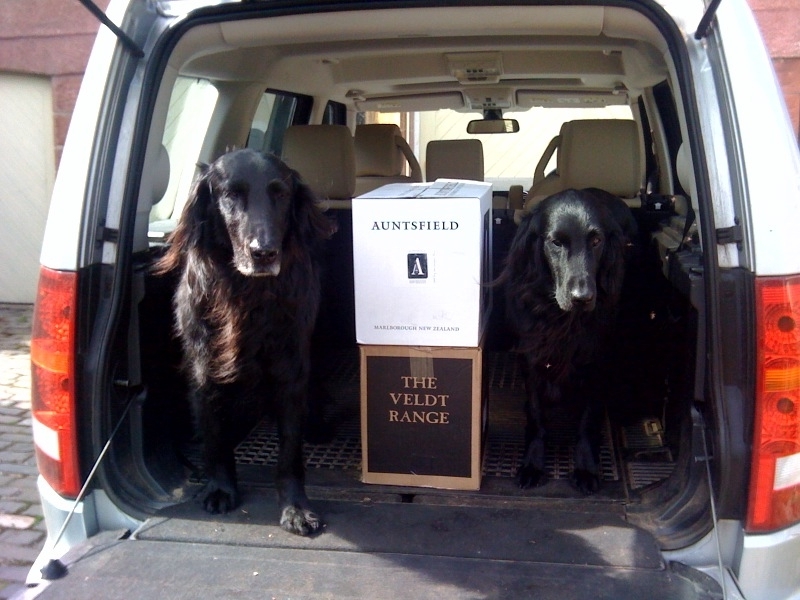 Hello, please allow us to introduce ourselves, we are Heidi and Clara, John and Lorna’s Flatcoated Retrievers, also known as the Delivery Dogs! We have been allowed our own page because basically nothing happens at Linton Wines without us knowing so we will keep you up-to-date with tails of what is happening, who has been visiting, which wines seem to be the most popular etc. Visit our blog, Cellar Tails, to find out what’s happening at Linton Wines.